Your kids will never turn down a PB&J sandwich, right? Then a breakfast or after-school snack with their favorite flavors of berries and peanut butter blended into a yummy smoothie is the perfect way to get in some added nutrition. 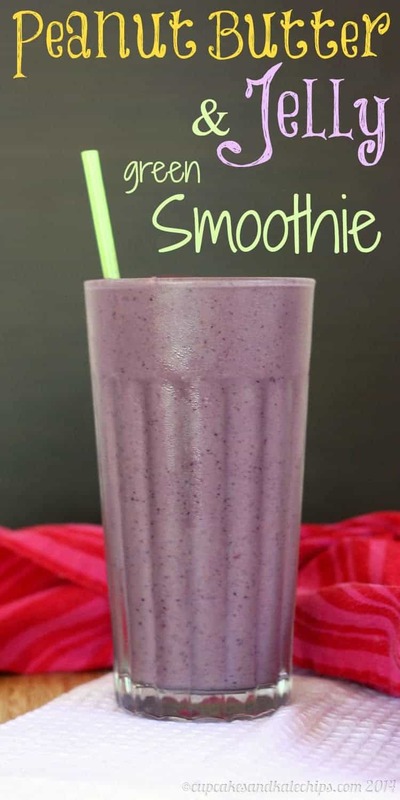 With protein-packed Greek yogurt and vitamins from spinach or kale, or other dark, leafy greens, you and your kids will love this Peanut Butter & Jelly Green Smoothie Recipe! Thanks for finally writing about >Green Smoothie Recipe | The NY Melrose Family <Liked it!